Three days after being ousted from the Donald Trump campaign, Corey Lewandowski is a political commentator for CNN. 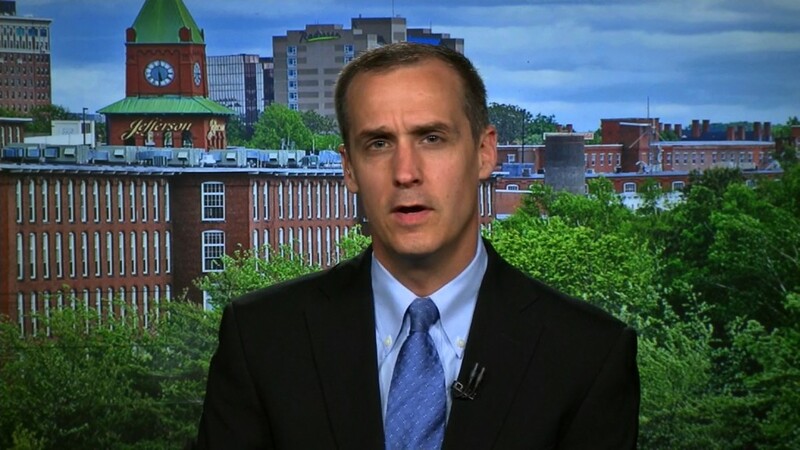 On Thursday Lewandowski joined CNN's stable of political experts who appear across the channel's newscasts and talk shows. For CNN executives, the hiring was a coup. Lewandowski brings first-hand experience running a historic presidential campaign. But his hiring was also highly controversial, even within the newsroom, in part because he has a reputation for being hostile toward journalists. The agreement likely included a "non-disparagement clause," impeding his ability to criticize Trump publicly. On Thursday night, in his first appearance as a CNN commentator, anchor Erin Burnett asked about the existence of such a clause, and Lewandowski declined to answer directly. He said, "I'm a guy who calls balls and strikes. I'm going to tell it like it is... There is nothing that's going to stop me from telling the truth, in my opinion." Lewandowski remains loyal to Trump, even after being fired, and on Thursday he said, "Trump is the only person who's going to save this country for my children." Lewandowski's first official appearance was moved up, from Monday morning to Thursday night, partly so that he could address questions about the Trump non-disclosure agreement. He is now one of a small number of paid CNN commentators who are advocates for Trump's campaign. CNN also has conservative commentators who are vehemently anti-Trump, and liberal commentators who are advocates for Democrat Hillary Clinton. These arrangements are normal at television networks that have hours of airtime to fill. But even by the norms of the so-called revolving door between politics and television, where campaign strategists frequently become cable news contributors and vice versa, Lewandowski's transition is swift. Lewandowski was Trump's campaign manager up until Monday, when he was fired after an intervention by Trump's family members. Hours after he was escorted out of Trump Tower, Lewandowski sat for multiple TV interviews, including a 29-minute interview with CNN's Dana Bash. That same day, he had multiple meetings with prospective television network employers. Two sources at one of CNN's main rivals, MSNBC, confirmed that Lewandowski had a meeting with executives there. One of the sources said that MSNBC subsequently told him that it would not be making an offer, mainly due to ethical concerns. Politico was the first to report his hiring by CNN on Thursday afternoon. The announcement was harshly criticized, with critics calling it inappropriate and undignified. In March Lewandowski was accused of assaulting a reporter, Michelle Fields, after a Trump press conference. He was later cleared of any charges. Lewandowski also had a verbal altercation with a CNN producer, Noah Gray, last November. He profanely told Gray to "get back in the pen," referring to the fenced-off press area at Trump campaign rallies. Television producers have faced more practical challenges as well: How to reflect Trump's point of view and popularity on the air when so many professional TV talking heads are opposed to Trump. That's why CNN hired Trump supporter Jeffrey Lord as early as last August. Adding Lewandowski is another way to ensure ideological diversity on the air. His perspective might be uniquely valuable given that he was Trump's right hand man up until this week.